*Let me preface this post with NO we did not get married or elope. What a freaking adventure this trip was. Aside from it taking a full 20 hours to actually get there (thank you to our stand by airline status), the national park, and the Alpine Northwest Workshop were a dream. 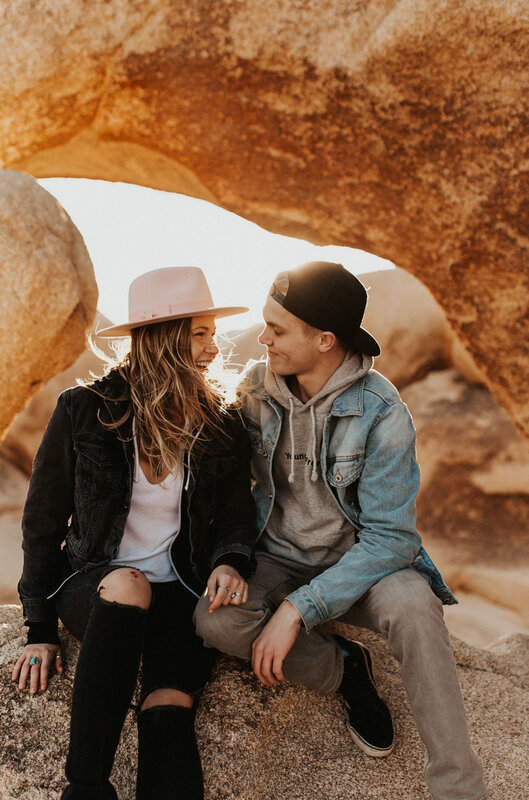 Through a very random exchange of DM's on instagram with Anni Graham, Andrew Bruce and I were able to venture to Joshua Tree to model for the Destination Wedding workshop Alpine Northwest was hosting. Anni's photos are a huge inspiration to me, and her spirit behind her work is authentic. So needless to say, I was jump-on-the-bed-happy about this opportunity to work with her, Noelle Johnsun, and 25 other boss photographer babes that were attending the workshop. Naturally, this experience seriously changed my soul. Anni has this love for her work, her people, her passion, that is so contagious and inspiring, you couldn't help but leave a better person. Being able to learn from her was truly one of the greatest blessings not only for my spirit but for my love of photography and travel. Anni Graham you are one of a kind and I am lucky to know you. Stay wild. K done with my love note. Joshua Tree, holy smokes. Thousands of winding Dr. Suess trees flood this part of the desert. With the help of Andrews long time mentor, @travywild we hiked Chasm of doom (yeah, thats seriously the name). Hands scrapped from the granite and knees shaking with terror from the height, we made it to the top. You squeeze through crevices, up and over boulders, with only slivers of light peeking through to guide you. I once even asked the boys if I was going to have to chew my arm off, afraid that these boulders were going to collapse on me. lol, I don't hike all that much. They had a good laugh. Driving through this place, the massive boulders rising to meet the sky in spontaneous bundles, the breath is stolen from your lungs. 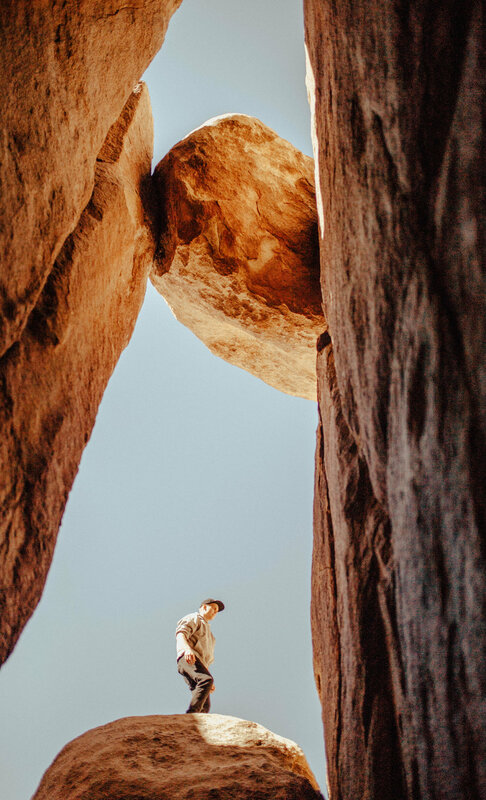 Hiking through these enormous rocks to find rooms made by the granite, chandeliers made of golden light reflecting and bouncing from the rocks surface. Your soul is quieted, and energized at the very same time. We also explored Hall of Horrors, and Arch Rock at golden hour. Theres something sincerely magical about the way the light drips over the Joshua Tree granite. These three hikes soaked your soul in something special. If I could describe Joshua Tree in one word, it would be soul warming. K thats two, but that's all I've got.